Start planning your vacation to Hawaii from home by getting your own copy of the 101 Things To Do magazines. Our digital subscription is also available. Our sister publications are also available below to help you plan and save for your dream Hawaiian vacation! You will receive the latest issue available when you order any one of our magazines below. The cover may differ from what is shown. Discover Oahu with a 101 Things To Do Magazine. Shipping should take at least 1 to 2 weeks. Discover Maui with a 101 Things To Do Magazine. Shipping should take at least 1 to 2 weeks. Discover The Big Island with a 101 Things To Do Magazine. Shipping should take at least 1 to 2 weeks. 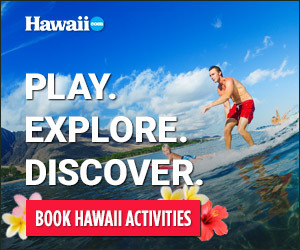 Discover Hawaii with a 101 Things To Do Magazine. In this bundled package you will receive all four magazines; Oahu, Maui, Kauai and the Big Island of Hawaii. Shipping should take at least 1 to 2 weeks. Partake in the Hawaiian culture and explore the diversity of the islands. Enjoy hidden gems and insider tips with the Aloha Hilton Hawaiian Village Magazine to help you make the most of your vacation in Hawaii. Shipping should take at least 1 to 2 weeks. Partake in the Hawaiian culture and explore the diversity of the islands. Enjoy hidden gems and insider tips with the Aloha Hilton Waikoloa Village Magazine to help you make the most of your vacation in Hawaii. Shipping should take at least 1 to 2 weeks. Aloha, From Alamo Rent A Car. It’s Time to get out and DRIVE. Shipping should take at least 1 to 2 weeks.